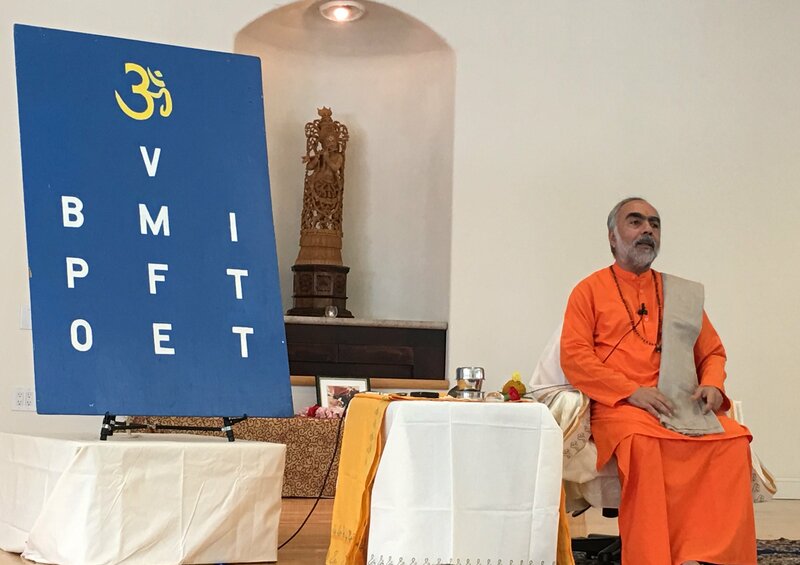 The well-balanced daily schedule allows ample time for study, reflection, service, and solitude, so that each student achieves internal integration and external harmony through the confluence of karma yoga, jnana yoga, and bhakti yoga. The secluded and serene ashram surroundings, in the midst of majestic redwood trees and rolling hills, is a perfect and beautiful haven for sincere spiritual seekers. This camp is for adults only, and is not a family camp. Please plan your trip using these dates. The camp will start on Friday July 20th morning and end after lunch on Wednesday, July 25th. We shall confirm if there is space available. This is the tentative schedule (Tea/Coffee will be available in the kitchen starting 6:45am). The first day schedule is likely to be different as will the last day - Camp ends at lunch on the 25th. There is no need to bring any textbooks - we have ordered enough of the two books Swamiji will cover this year. If you will be driving to/from Piercy, see directions. See "About Krishnalaya" below. If you choose to stay off-site, there are several motels in the nearby town of Garberville, which is about a ten minutes drive to Krishnalaya. You will need to arrange transportation to and from Krishnalaya. There are no buses, taxis or car rental places in the area. ‘Krishnalaya’ was established by the spiritual Vedantic teacher, His Holiness Swami Chinmayananda (Pujya Gurudev), founder of Chinmaya Mission. Pujya Gurudev resided and conducted many spiritual retreats in Krishnalaya, and often compared it to the serenity and beauty of India’s sacred Himalayas. Krishnalaya is the first property owned by Chinmaya Mission West. It was purchased in 1979 for conducting a two-and-a-half-year, in-depth Vedanta course. Thereafter, Chinmaya Mission conducted occasional camps and weekend programs and continued to maintain the property until 1989, when Gurudev decided to revive the site. Gurudev held numerous programs at Krishnalaya over the next few years. It continues to be used for Vedantic discourses by Acharyas and Swamis of Chinmaya Mission.